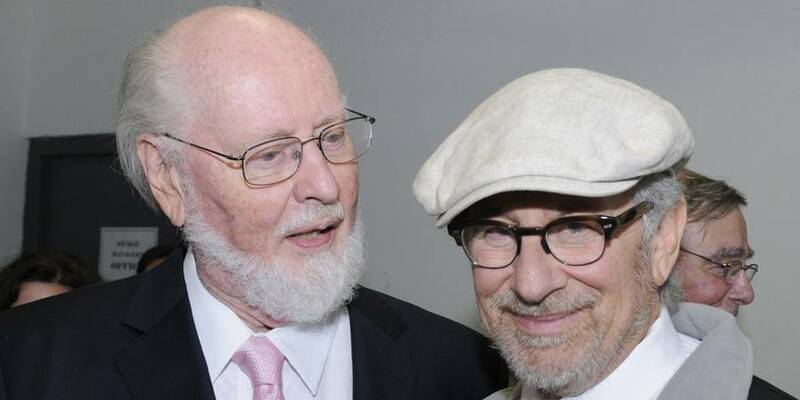 Happy 80th birthday, Mr. Williams! 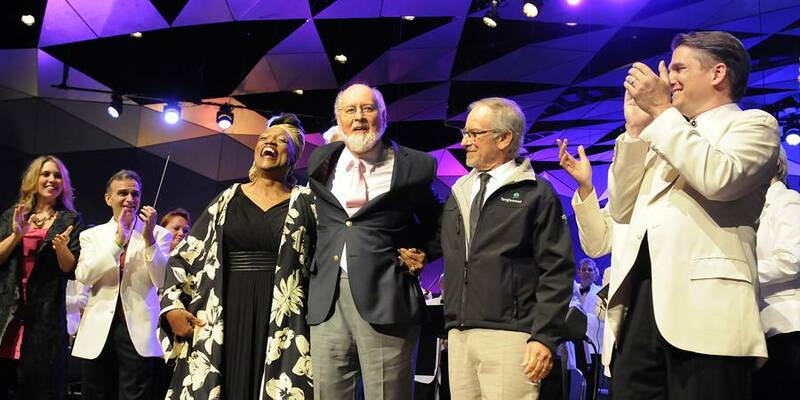 Tanglewood, one of the country’s premiere summer music festivals and summer home to the Boston Symphony Orchestra, celebrated John Williams’s 80th birthday on Saturday, August 18, a highlight of the festival’s 75th anniversary season which continues through Labor Day weekend (details at www.tanglewood.org). 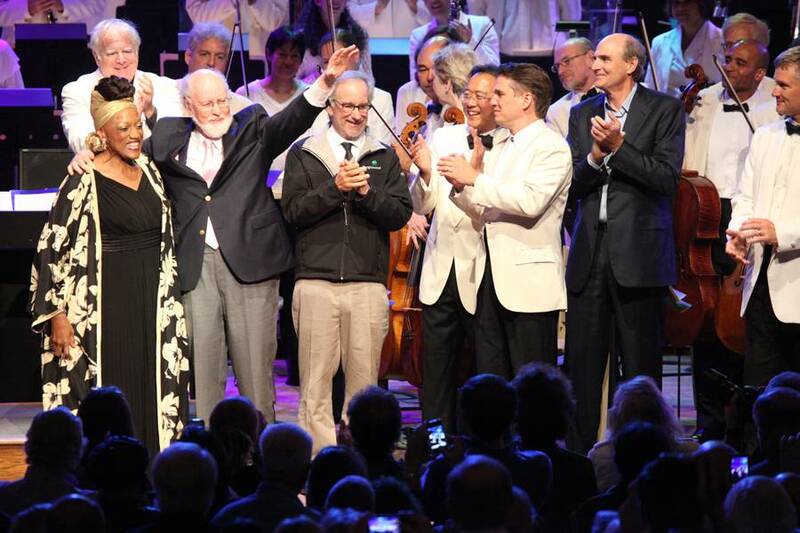 Pictured above from left to right are Jessye Norman, John Williams, Steven Spielberg, Yo-Yo Ma, Keith Lockhart, and James Taylor. 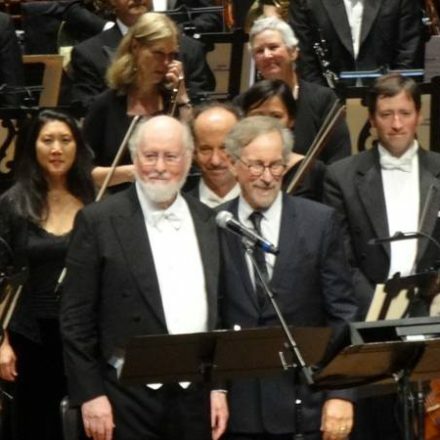 Steven Spielberg and James Taylor made surprise stage appearances, with President Barack Obama, The Honorable William Jefferson Clinton, George Lucas, Brian Williams, Seiji Ozawa, and Gustavo Dudamel featured in special video birthday messages to Mr. Williams. The musical program featured the Boston Pops Orchestra, conductors Keith Lockhart, Leonard Slatkin, and Shi-Yeon Sung, and guest artists Yo-Yo Ma, Anthony McGill, Gabriela Montero, Jessye Norman, and Gil Shaham, as well as members of the Boston Symphony Orchestra. The program opened with John Williams’s Olympic Fanfare with the U.S. Army Herald Trumpets, followed by beloved themes from E.T., Harry Potter, Star Wars, Schindler’s List and Memoirs of a Geisha. Alternate Star Tours Audio: The dreaded emergency return to the Spaceport! 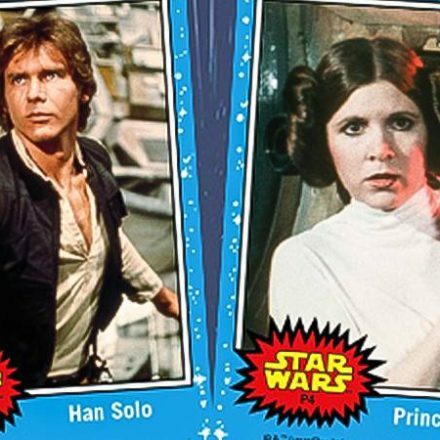 Star Wars Insider and Topps Unite for STAR WARS Trading Card Exclusive!